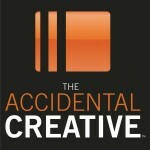 Have you discovered any new and amazing podcasts on your commute? Been listening to Serial? Enjoying Freakonomics and This American Life? Of course you have. 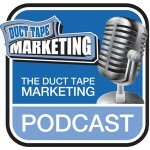 But have you checked out some of the great marketing and business podcasts? We’re not talking about boring lectures or monotone droning. We’re talking about dynamic, engaging and interesting content developed just for us. The marketers of the world. Cut down on your weekly reading subscriptions and tune in for the latest news and trends in the world of marketing. Don’t know where to start? Don’t worry…we’ve compiled a list of some of our favorites. Perfect for your lunch break, early morning commute…or whenever! John Jantsch is a well-known marketing consultant and author. He travels around for speaking engagements and leads workshops on marketing strategy, the customer journey and more. His podcast has been running for several years and he’s covered a range of topics including using Content as a Business Model, how to Be Less Busy and More Productive, why Buyers Trust Content So Much, and more. In this podcast, Todd Henry interviews artists, authors, business leaders and influencers while offering tips for growing professionally and personally. He provides practical tips for keeping your mind sharp and creative and clear. Spanning more than 10 years of podcasting, some of his episodes include Being Liked vs. Being Effective, Three Tactics for Unleashing Your Best Work, Why Leaders Eat Last, Confidence vs. Ego and more. 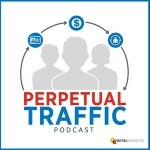 This weekly DigitalMarketer podcast is hosted by three brilliant industry leaders who share insight and tips for acquiring leads and sales through paid website traffic. The podcast is relevant for anyone looking to use paid space to bring sales, from seasoned employees to the ones who are just getting started learning the ins and outs of social media ads from Facebook video ads to advertising on YouTube to scaling paid traffic campaigns and more. 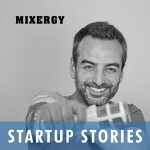 Andrew Warner’s Mixergy podcast is an amazing collection of interviews with successful entrepreneurs and leaders from a variety of different industries. His interviews aren’t all focused on marketing but they offer a refreshing look at business from the inside. Some of the podcast episodes include a conversation with Backblaze’s Gleb Budman about launching his online backup company with proprietary hardware (unheard of! ), a conversation with Gulnaz Khusainova of EasySize about leveraging technology to decrease customer returns, Cameron Adams from Canava discussing the sustainable way his company gets 10 million users each month and even a great interview with Wikipedia’s Jimmy Wales about the beginnings of Wikipedia, how it was built and promoted. Our friend, Katya Rozenoer, from Minimum Viable Communications recently introduced us to This Old Marketing, and we’ve become fast fans. 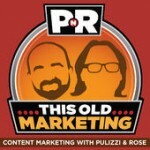 Each episode runs less than one hour and highlights that week’s content marketing news. They offer great examples with interesting commentary plus tips and ideas and more. Fans can even submit their own questions to be answered on the show by emailing or tweeting them using #ThisOldMarketing as a hashtag. Some episodes of note: How Native Advertising Will Drive the Future of Owned Media, Content Creation Plummeting on Facebook and Can Content Save Advertising? 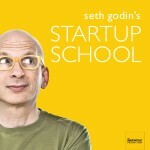 What would a marketing list of any kind be without Seth Godin? Unfortunately for us, Seth doesn’t do a weekly podcast but he did put together this compelling 15-episode workshop about building a dream business. Definitely worth a listen as live recordings of Seth are few and far between.